The Egyptian Pound: Where is it heading? Egypt’s annual headline inflation rose to 14.4 per cent in February, compared to 12.7 per cent in January, a three-month high. 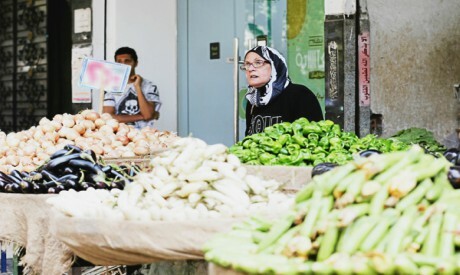 Month-on-month inflation rose by 1.7 per cent in February, compared to 0.6 per cent in January, a statement from the Central Bank of Egypt (CBE) said this week. The rise was mainly driven by higher food prices, particularly of vegetables. Vegetable prices increased by 28.9 per cent in January and 39.9 per cent in February this year. The hike in inflation could make it harder for the CBE to continue its easing cycle on interest rates, calling into question any further cut at the Monetary Policy Committee’s (MPC) meeting later this month. The CBE resumed its easing cycle in last month’s MPC meeting, lowering the overnight deposit and lending rate by one per cent to 15.75 per cent and 16.75 per cent, respectively. The cut was the first in almost a year, and it came as a surprise to many economists who had expected the CBE to leave rates unchanged because the headline inflation rate had increased in January. However, despite the hike in the inflation rate, it remains within the CBE’s target of 13 per cent plus or minus three per cent for the first half of 2019. Economists are split over whether the increase in inflation in February will prevent another cut in interest rates this month. Some say the hike in the inflation rate reduces the chances of another interest-rate cut this month. Investment bank Arqaam Capital said in a note that it expected the MPC to keep rates on hold at its upcoming March meeting, ahead of the expected fuel-price adjustment set for April and the almost full phasing out of fuel subsidies by mid-2019. It expected the easing cycle to resume in the second half of the year. But investment bank Pharos Holding foresaw another one per cent cut in rates in the upcoming March meeting, citing two factors that could prompt the CBE to press ahead with the cut. “If a rate cut is not made at this meeting, there will be no window for rate cuts except six months down the line on 26 September,” Pharos said in a note. This is because the expected subsidy cuts in June will mean that inflation will most likely go up, preventing a subsequent rate cut. The Finance Ministry has embarked on a comprehensive debt-reduction strategy that aims to reduce debt to 80 per cent of GDP by 2022, a statement from the ministry said this week. Pharos also cited high demand from foreign investors for government treasury instruments and the consequent influx of US dollars into the Egyptian banking system as meaning that investors would continue to inject portfolio investments in Egypt even after another one per cent cut. Research firm Capital Economics was of a similar opinion, saying that subdued core price pressures and strong capital inflows meant that an interest rate cut was still more likely than not. It said the CBE had placed growing emphasis on core price pressures, which remained relatively subdued, and foreign capital inflows had continued to hold up well. Foreign investors have remained net purchasers of Egyptian stocks and government bonds in recent weeks. The CBE may also want to lower interest rates before attention turns to upcoming subsidy cuts, it said, predicting a 50 basis points reduction in interest rates at this month’s MPC meeting. “Regardless of whether or not interest rates are lowered at this meeting, we maintain our long-held view that Egypt’s easing cycle has much further to run in 2019-20,” Capital Economics said. The CBE had left interest rates unchanged since May 2018 due to inflationary pressures resulting from subsidy cuts in 2017/2018. The first cut came last month.